The unstoppable Juggernaut has joined the X-Men! When Cain Marko summons the X-Men to help his criminal partner Black Tom Cassidy, he surprises everyone - including himself - by accepting his hated stepbrother Professor X's offer of friendship! 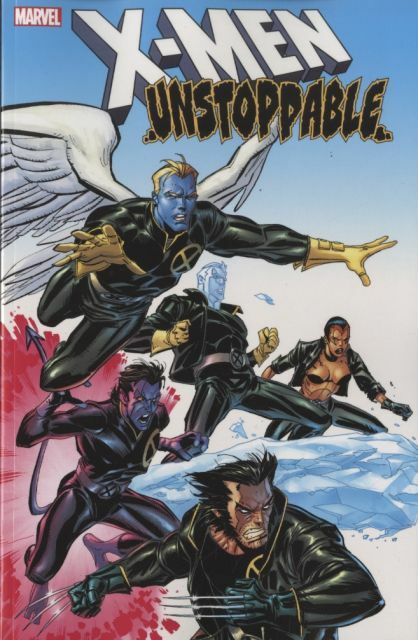 And he's not the only new face at the Xavier Institute as Northstar and Husk join the teaching staff, troubled young Sammy Paré enrolls at the school and the comatose Havok is found - with a lovesick caretaker in tow! As the X-Men struggle with internal turmoil and Sammy bonds with Juggernaut, the team must face threats like Maximus Lobo, Alpha Flight and the Church of Humanity - who commit an act of savagery that shocks the X-Men to the core! Plus: Iceman and Archangel deal with startling secondary mutations - and an X-Man proposes! Collecting UNCANNY X-MEN (1981) #410-424 and X-MEN UNLIMITED (1993) #44-45.